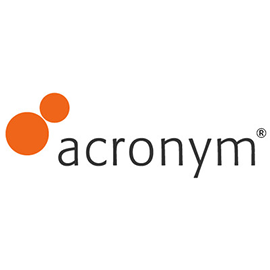 Established in 1995, Acronym was tackling search before Google even existed. Today, ACRONYM is the largest independent AdAge Top 10 search marketing firm and the current Search Agency of the Year. ACRONYM help global enterprise brands and their agencies understand customer intent that powers every aspect of digital, search engine marketing (PPC, SEO), analytics/UX, and keyword data integration across channels and devices. ACRONYM is looking for a Business Development Coordinator in New York, United States. If you meet the requirements below, you will be eligible to apply via Digital Marketing Community. Qualify new business from inbound sales and marketing leads. Cooperate with the director to respond to RFPs for new business. Improve ideal customer profiles to improve inbound qualification efforts. Track-up on Inbound leads through a predetermined cadence logging all applicable. Utilize defined metrics and workflows to supply new business and sales team with qualified prospects. Minimum 1- year previous work experience in an office environment (preferably agency). Effective experience in business development, sales, marketing, lead generation. Proven track record in Microsoft Word, Excel and PowerPoint. Solid phone, customer service, writing and interpersonal skills. Ability to build rapport with potential customers, understand their environment, and introduce new concepts to solve problems.